A rich, strong yet buttery cheese that is delicious on its own, eaten with oatcakes and chutney, or devoured in hunks with an organic apple from your box. It also makes a sinfully good Welsh rarebit on toast. There’s been a dairy farm down at Godminster in Somerset for over 100 years, and the herd now consists of Friesian, Norwegian Red and Norwegian Brown cows. They’re watched over by Richard Hollingbery and his family, who, with the expertise of local cheesemakers, turn the cows’ organic milk into gorgeous cheeses. 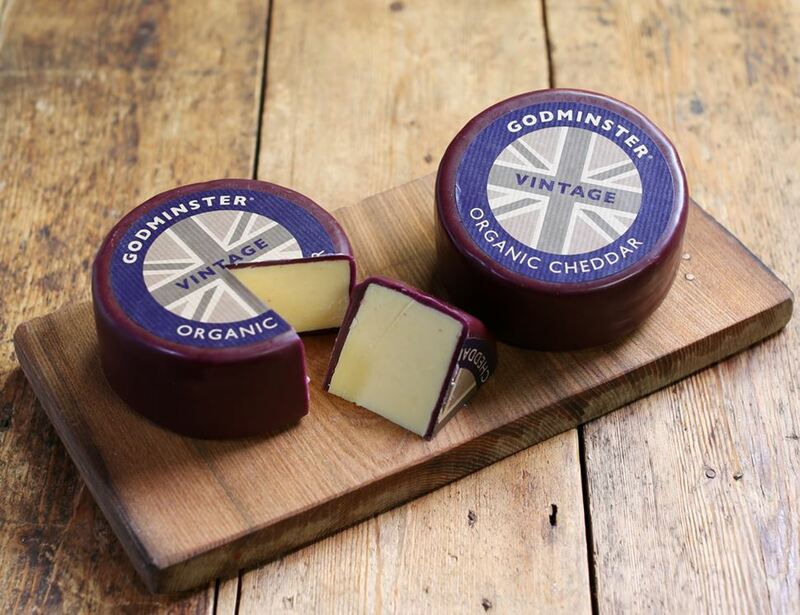 To make the most out of this vintage cheddar you will need to ensure it is kept refrigerated. Once the packet has been opened it should be closely wrapped as any exposed parts will dry out and become crumbly. Not suitable for home freezing. We guarantee that your order of cheese will have at least 7 days before its expiry date, including the day of your delivery.